As you walk through the supermarket, there are so many types of water on the shelf, and it can get overwhelming. It seems like something as simple as drinking water shouldn’t be that complicated! There’s the publicly filtered tap water from your kitchen sink, regular bottled water, mineral water, and then there’s mineralized water. Why are there so many different types of water, and what makes them unique from each other? Below, Advanced Water Solutions will go over these types of water and what each one has to offer, helping you decide if the specialized ones are worth the cost. This is the water that flows through your pipes and into your home using the city’s infrastructure (or your own well). Most of the time, this water is perfectly fine for drinking and using for cleaning, cooking, and other household tasks. If you have a home water filtration system installed, then you can be extra sure that you have great, clean water to consume and give to your family. In fact, these water filtration systems can help your tap water taste like (or better than!) bottled water, while piping directly into your home. There has been much debate about whether or not bottled water is as healthy as it seems. While it’s definitely better than buying a container of soda, this water isn’t very regulated in how it’s advertised, leaving the customer in the dark about where the water actually comes from and what it contains. It's been shown that some companies simply fill their bottled water from the tap! It’s possible that some of this water has plastic residue from the bottling process. There’s also no fluoride in this water to strengthen teeth, and it’s often lacking some of the vitamins and minerals found in filtered tap water. Bottled water is still safe to drink, but it’s not always the healthiest option when it comes to getting your water intake every day. It’s also much more expensive and wasteful with plastics than tap water. Mineral water is created naturally with more minerals than regular bottled water. This type of water is found in specific locations that have a lot of minerals in the earth. As the water flows through the area, it gathers those minerals and becomes enhanced with healthy (and sometimes unhealthy) particles. These extra minerals can add to the flavor and the overall benefits of the water, but it’s not necessary to drink this instead of the options above for daily consumption. We can get our healthy minerals from our food rather than our water. Choosing to consume mineral water usually comes down to a preference of taste. You might have seen this specialty water on the shelf at the store. It tends to cost a little more than the others, but is it actually better? This is water that the companies claim has extra minerals added to give it a better taste, as well as more health benefits. While there are more minerals in this water than your natural spring bottled water, each company can add whatever vitamins and minerals they want, leaving you to do the research and make the decision on which mineralized water has the right combination of additives for you. What Makes Mineralized Water Unique? Mineralized water is full of electrolytes. This is something that your body sweats out while you exercise and needs to be replenished. So instead of grabbing a sugar-filled sports drink, you now have the option to grab yourself a bottle of mineralized water to get those electrolytes back into your body and help build back up the minerals you need. Mineralized water tends to have magnesium and calcium in it, which can help keep your muscles and bones stay strong. It also can contain potassium, which helps your brain function. This type of water may also be good for helping lower cholesterol, because of the minerals added to the water. Mineralized water can also help with weight loss, since it's a drink you can sip on all day and not add calories to your daily intake and he minerals help burn unwanted fat. (However, this last benefit applies to all the waters listed above). What’s Your Best Option for Drinking Water? Looking at all the options listed above, you have several options available to you. If you have a great water filtration system in your home, then the tap water is going to be your best option for everyday drinking. It’s clean, healthy, refreshing, and usually contains trace amounts of healthy minerals. Bottled water is safe to drink, but dentists recommend getting some fluoride for your teeth. Also, purchasing non-reusable plastic containers is tough on both your wallet and the environment. 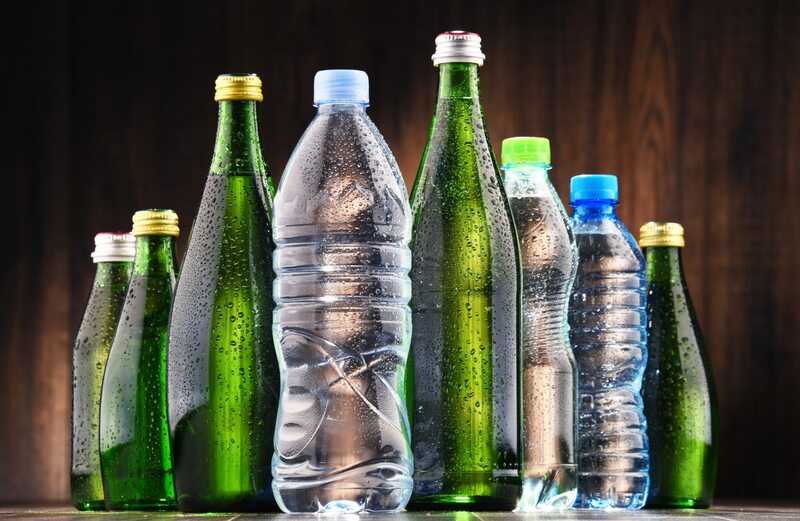 Mineral and mineralized water are both good, healthy options to drink, but tend to have the same downsides as normal bottled water. They are expensive, produce a lot of waste, and the health benefits don’t necessarily outweigh what you get from tap water, especially considering the unregulated production. However, there are many types of mineral water on the market for you to choose from, if you decide to go that route. Overall, the choice of drinking water is up to you. All of these options have pros and cons, but in the end, water is the healthiest option for your regular drinking habits. While mineralized water offers more minerals than your basic tap water, well-filtered tap water is perfectly safe, a great healthy option, as well as the most affordable over time. It also has the added benefit of providing high quality water for your cleaning and cooking needs at home! If you’re in the market for a home filtration system, check out Advanced Water Solutions’ blog on how to find the perfect water softener for you!